Miladinovic, D et al. 2012. Benefit of Moisture Removal with Vacuum Technique. 6th Central European Congress on Food 2012 in Novi Sad, Serbia. Miladinovic, D. and Zimonja, O. 2010. Influence of the die design, screw speed and filling grade on physical properties, processing parameters and output rate of the extruded fish feed. FP7, Feed to Food conferance REGPOT 3, Novi Sad, Serbia, October 2010. 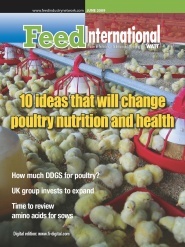 A monthly subscription magazine aimed at all types of animal feed producers and their suppliers. A glossy A4 journal that carries advertising from companies selling ingredients and additives, machinery and computers used in the feed production process and others offering goods or services used by feed companies. 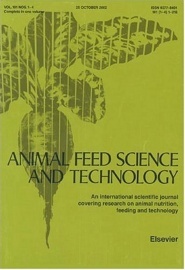 Editorially, there is a mix of discussion and comment on matters relating to the feed industry, in-depth technical articles and news sections. 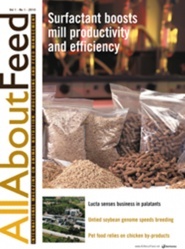 International Aquafeed reflects a passion for aquafeed and excitement about new technology. Its objective is to be a respected provider of information about aquafeed in the widest sense. The University Library’s (NMBU's) catalogue system. BIBSYS is a shared library system for a number of Norwegian research libraries. The library database contains books, journals and other materials (but not articles).